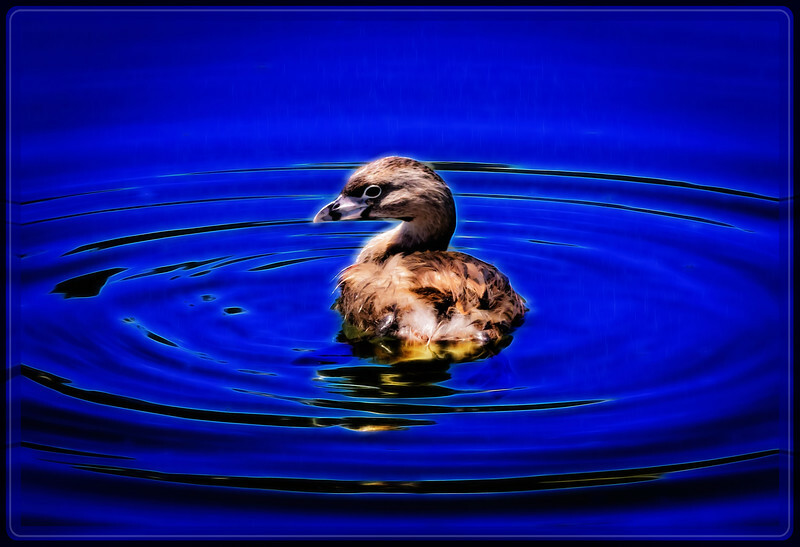 Playtime for me with the Pied-Billed Grebe – I saw the Concentric Circles and wanted them Emphasized. So I played for a while until I combined the effects to what I envisioned. Well done! The circles and color are magnificent! these little sure are fidgety. Yes this is Great, love what you achieved !!! Nice composition, has an ethereal quality to the image from your processing. Cool looking bird, nicely done. very lovely picture Rick! Thanks on the wishes. Oh my!!!! This is is stunning! You did a great job on the PP, and I love the concentric circles too. Great with the encircling ripples!